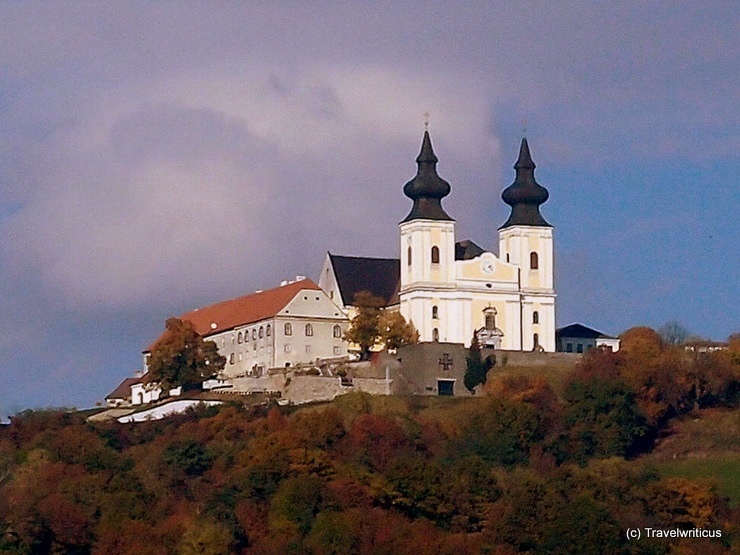 The Baroque church attached to Olimje Castle was built between 1665 and 1675. At the side chapel, I discovere a statue dedicated to Saint Anthony the Great. 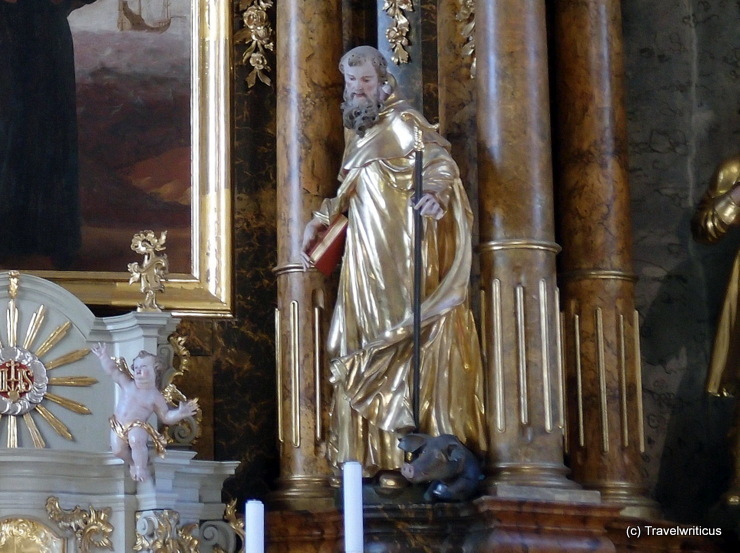 One attribute of this saint is the pig, which can be seen lying at his feet. 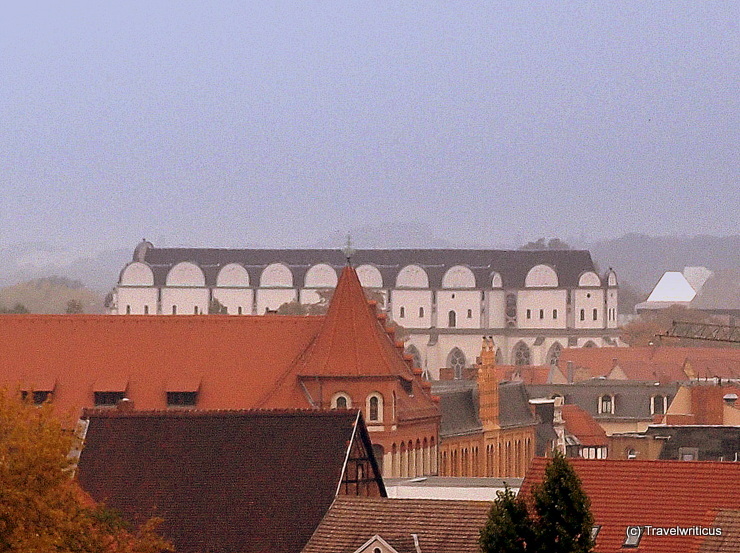 In the beginning, the later cathedral of Halle was a church built by the Dominican. 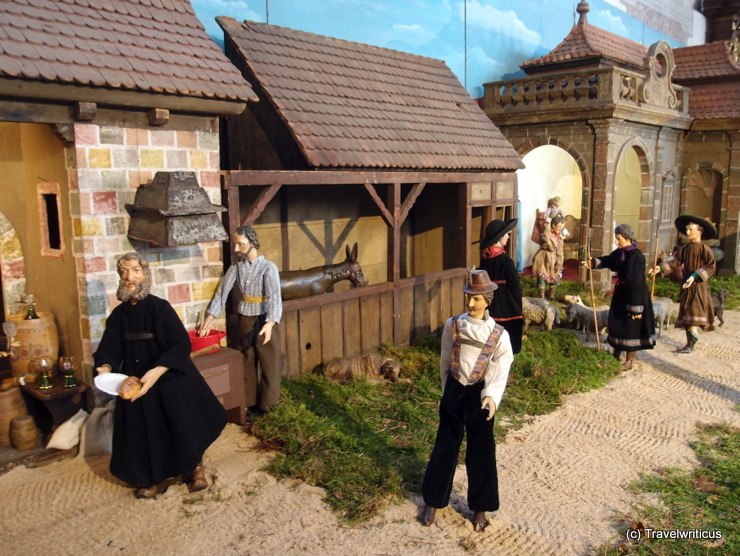 Traditionally churches of a mendicant order don’t have a tower. 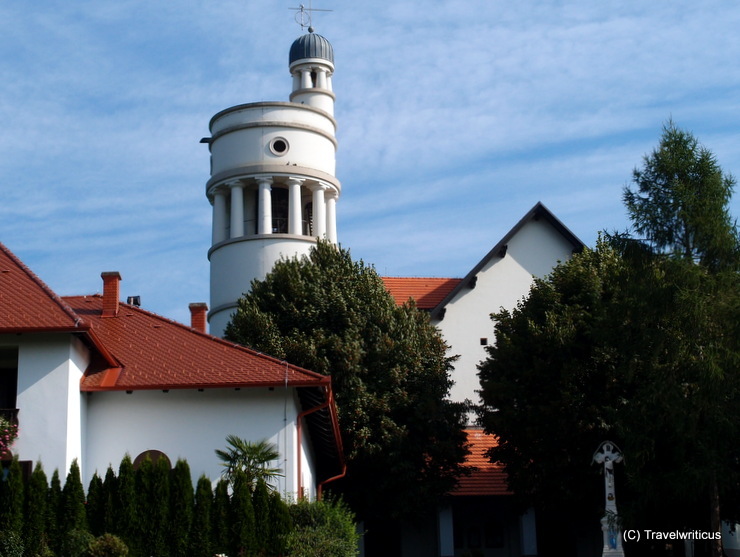 The lovely gables were added by Cardinal Albert of Brandenburg. 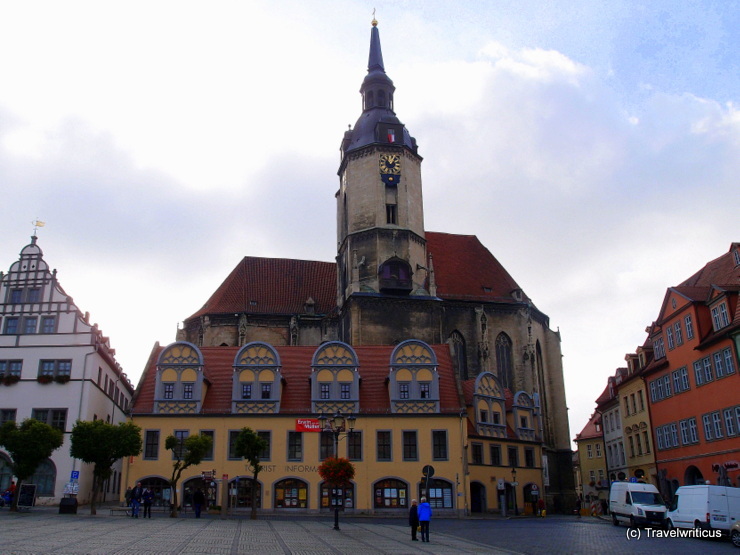 Today it is just a church again but people of Halle still call the edifice a Dom (cathedral). 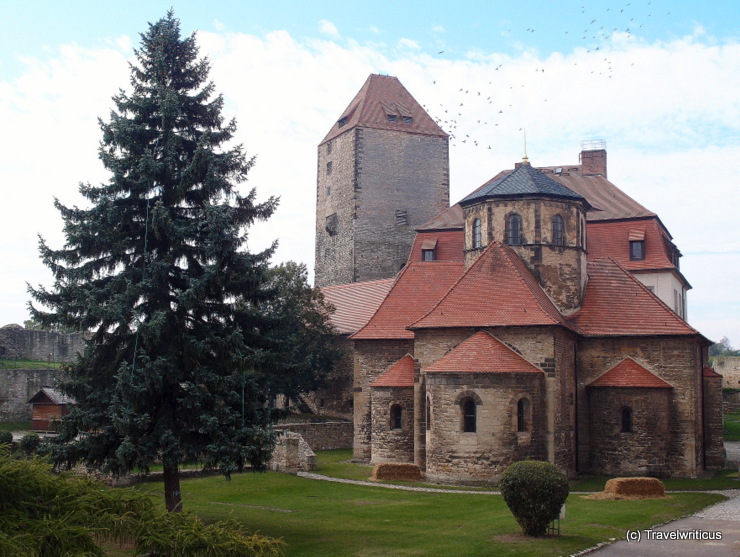 The chapel of Querfurt Castle was built in the second half of the 12th century. It is located in the middle of the castle. Inside the chapel is decorated in a Baroque style. The tower behind the chapel is named Marterturm (Tower of Torture). Inside the Naumburg Cathedral (13th century) in Naumburg (Saale) there are fascinating as well as fun details to see at some handrails. 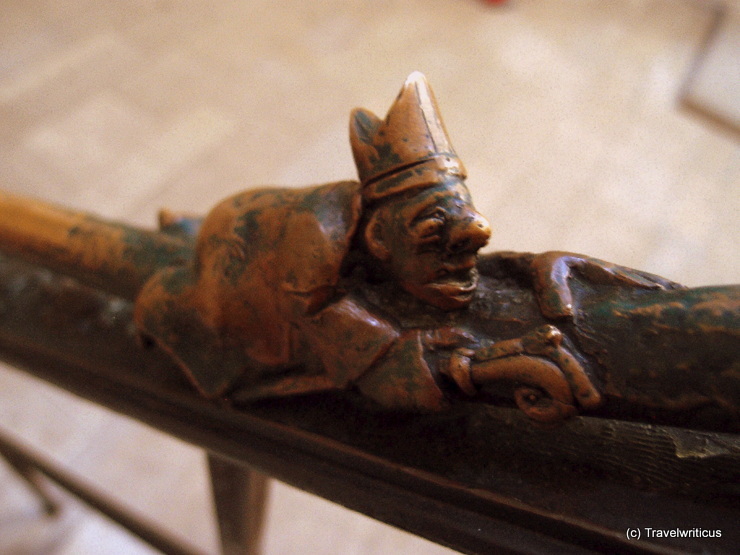 The handrails are decorated with persons, animals and mythical creatures. Some of them made me think the way to heaven is probably arduous. 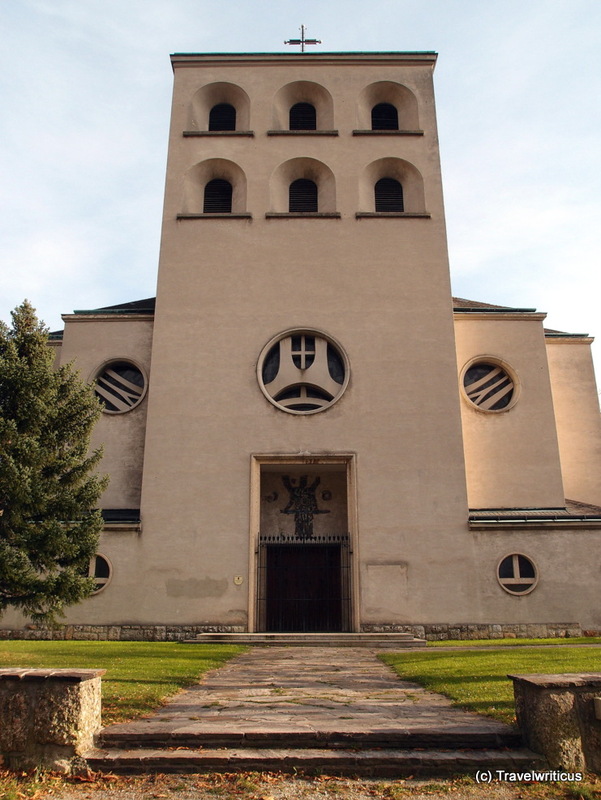 The church of St. Wenceslaus (Stadtpfarrkirche St. Wenzel) was built in the 15th century. 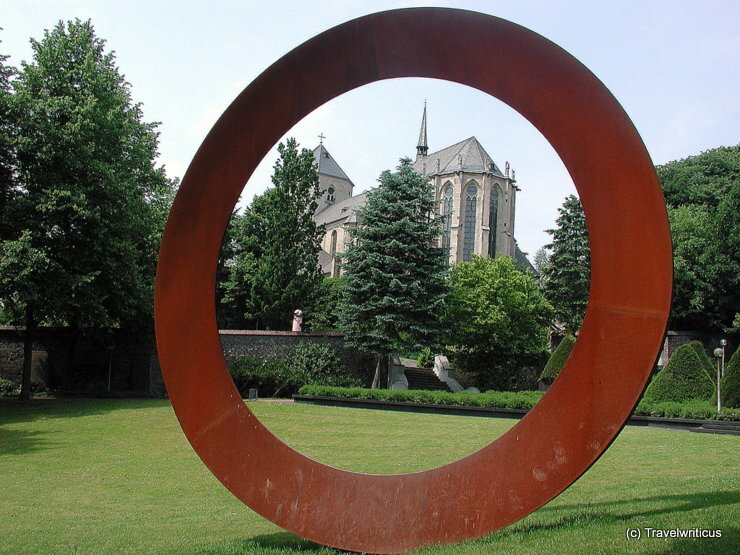 Inside it is famous for paintings by Lucas Cranach the Elder and a Baroque organ named Hildebrand Orgel. The viewing platform on top of the tower (Wenzelsturm) is a great place for taking pictures of the town.